Welcome! Today's card was made using the colors from 4 Crafty Chicks, the sketch at CAS(E) This Sketch and the gold theme at CAS-ual Fridays. 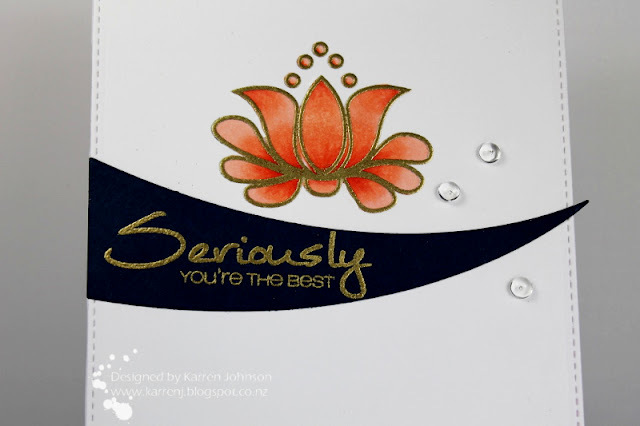 I also gold embossed the sentiment onto a strip of Soft Navy cardstock and when I was looking for a banner die to die-cut it, I saw this die and thought it would give the card a modern look so went for it! I die-cut the panel with a stitched-edge die and adhered it to a white card base. The card was finished with some rainstones to mimic the sketch. Another stunning creation Karren, truly beautiful. What a creative take on the sketch! Love how you incorporated the sentiment! Oh my gosh, Karren using the navy curved slice on your design is so striking...I love it! Beautiful coloring on the bloom, and your rainstones are the perfect touch! Really GORGEOUS take on the sketch! Clean, simple and phenomenal! I love what you created with this color combo. 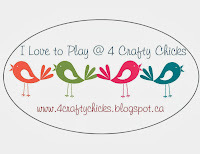 Thank you so much for sharing your crafting awesomeness with us at 4 Crafty Chicks Navy, Gold, Coral challenge! Oh this is just beautiful! Gorgeous layout and stunning flower! Another great CAS design, Karren!!! Your flower looks wonderful and I really like how you've done the black with the sentiment!!!!! So beautiful!!! This is amazing!! That swoosh is so dramatic and the colors are wonderful! 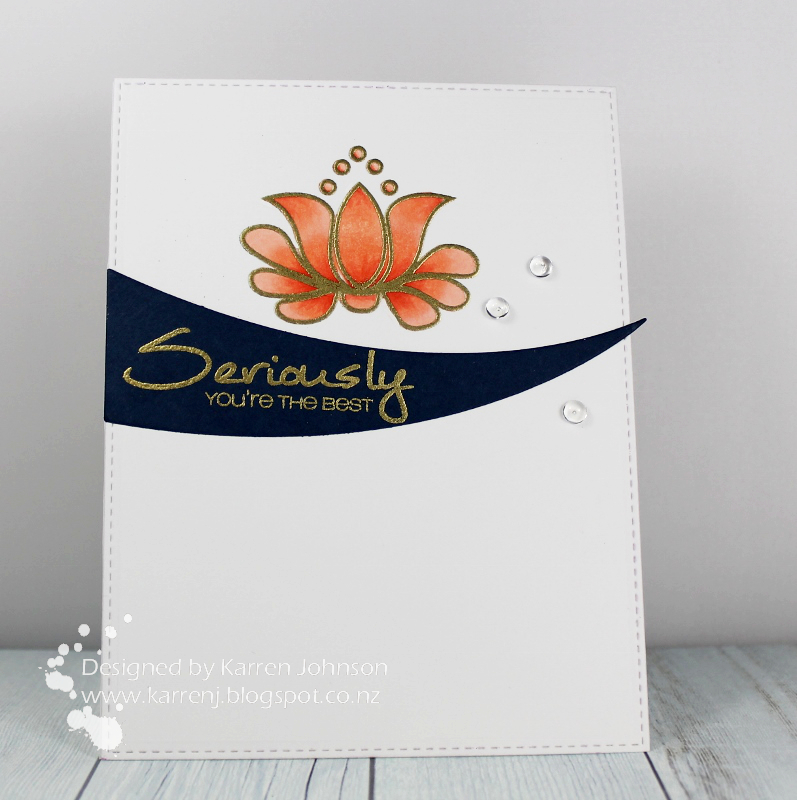 Gorgeous CAS card using our colors this week at 4 Crafty Chicks! Thanks for playing along and sharing your beautiful card! what a cool take on the sketch, karren! What a brilliant die for the sentiment Karren - it gives the stamp a whole different feel somehow. 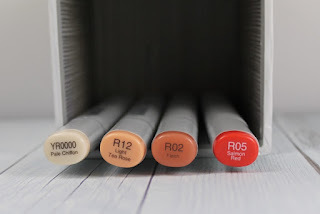 Love the rainstones too! This is stunning!! I love the CAS design and the swoop with the sentiment is awesome! Thank you so much for joining us at CAS-ual Fridays!